GREAT KILLS, Staten Island (WABC) -- Police are looking for a man wanted in connection with a bank robbery on Staten Island. According to the New York City Police Department, around 3:15 p.m. Tuesday, the suspect went into the Richmond County Savings Bank on Amboy Road and yelled that he had a bomb and was going to blow himself up. He then demanded money from a bank teller. The teller complied and gave the suspect an undetermined amount of money. The suspect fled north on Amboy Road. 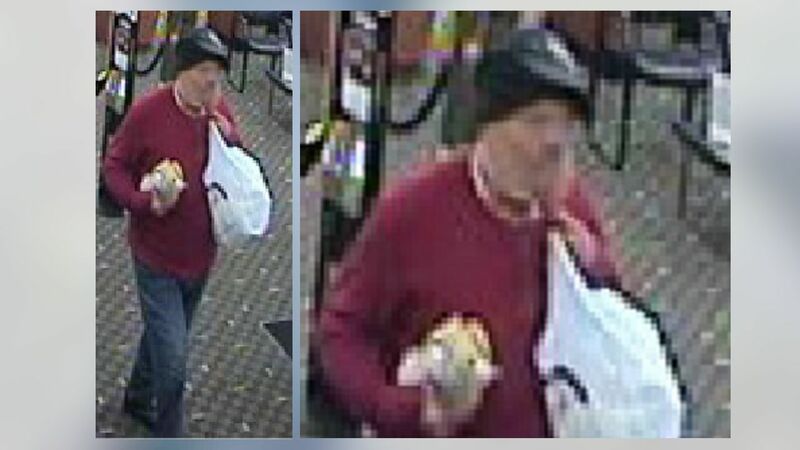 The individual is described as white, about 50, 6 feet tall, wearing a beige stocking cap over his head, a black hat, red sweater and blue jeans. Anyone with information on this incident is asked to call 1-800-577-TIPS (8477) or for Spanish, 1-888-57-PISTA (74782).